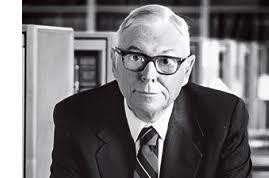 I will be attending the Charlie Munger DJCO Meeting in LA on February 14, 2018. I booked the day. I will probably bounce around the meetups and lunch afterward. I will then go to San Francisco for a couple days. I also posted on Reddit here. One of the best part of these meetings are the great people that you meet. If anyone wants to meetup reach out. This approach worked when I went to Omaha. Last Monday I published a post on Warren Buffett’s letter in Barron’s in 1962. I was wondering if it was Buffett’s earliest public appearance. David Shahrestani from the blog Wiser Daily, found earlier. He posted a link in the comments that led 4 articles published in The Commercial and Financial Chronicle by Warren Buffett during the 1950s. The articles are in the PDF below. Here are the four stocks that Warren recommended back in the 50s. 1951: GEICO, which is now a big holding in Berkshire Hathaway. 100%+ gained following the publication of the article. Even though it was up 100%, he still though it was cheap. 1953: Western Insurance Securities. Was trading at less than 2x earnings and at 55% book value. He liked it because it was cheap. 1957: Home Protective Co. I couldn’t find anything on what happened to it. 1957: Oil and Gas Property Management. I couldn’t find anything on it either but I didn’t search very hard. I know it’s not Christmas but it’s still funny. Here’s a gem. Is this one of the earliest public exposure of Warren Buffett? Check it out. The letter is from December 24, 1962 issue of Barron’s. That’s was back in the days when he was running his partnership. 1962 was also the year he became a millionaire. Look at how detailed oriented his letter is. Per my recent comments, I am increasingly concerned about SpaceX going public before the Mars transport system is in place. Creating the technology needed to establish life on Mars is and always has been the fundamental goal of SpaceX. If being a public company diminishes that likelihood, then we should not do so until Mars is secure. This is something that I am open to reconsidering, but, given my experiences with Tesla and SolarCity, I am hesitant to foist being public on SpaceX, especially given the long term nature of our mission. I finally got all the notes completed. I just wanted to post a summary. There it is. Part 2: Intro: Barron’s Roundtable: A Bevy of Bargains (formatting a little weird but you just need to scroll down). For all the Barron’s 2018 Roundtable articles and notes click here. CarMax (KMX) $70.74 ($71.04 when published). Target $82 to $93. It trades for around $70 a share, and there are 184 million shares, for an equity capitalization of about $13 billion. It also has about $1 billion of corporate debt outstanding. The company has several income streams that emanate from the sale of used cars. It sells cars to consumers, providing financing on some. It sells extended warranties, which get extremely high marks from buyers, and it also has an amazing wholesale auction business that sold about 400,000 cars in the past year to used-car dealers. The source of the auction cars is the company’s direct purchase of cars. CarMax will buy a car from any seller—not just people who come in to buy a car—and sell the older ones wholesale at the auctions. The younger ones tend to go to the CarMax retail customers. The average age of cars sold to retail is four years. At the auctions, it is about 10 years. CarMax’s proprietary data analytics give it a competitive advantage in both buying and pricing cars. Its average annual gross profit on a used car has stayed within a $25 range annually over the past seven years. In the wholesale-auction business, it has stayed within a $75 range. No-haggle policy; you don’t have to wonder if you could have gotten a better deal. It does best when used-car prices are going down, since it passes through the savings to the consumer and does so faster than competitors. Catalysts: Near-term, there is a big increase in cars coming off lease, and that will enable CarMax to buy them at lower prices. Lam has a 56%-57% market share in wafer etch, and about a 40% share in vapor deposition. It wants to gain another four percentage points in both through 2019. We estimate that Lam will have $10.3 billion of revenue in fiscal 2018, up 28% year over year, and $3.065 billion in profit before taxes. With a 14% tax rate, after-tax income will total $2.6 billion. Divide by 182 million shares, fully diluted, and you get $14.48 a share in earnings. Doing a similar calculation for fiscal 2019 gets you earnings per share of $15.45. Splitting the difference, the company will earn about $15 a share for calendar 2018. There is no stock-based compensation to consider, so that’s a clean number. Lam has $22 a share in net cash. Exclude that and the stock sells for 11.6 times earnings. 71% of cash is trapped overseas, and it isn’t clear that it is going to come back here. Return on book value could top 30% in calendar 2018. Free cash is equal to net income. Breaking down the business, 66% of revenue comes from memory and the rest from logic and foundry. What is driving demand is smaller line widths and multipatterning, along with the Internet of Things and cloud. Lam has the wind at its back. It generates 86% of its revenue in Asia, and its chief customers include Micron Technology [MU], Samsung Electronics [005930.Korea], and Taiwan Semiconductor Manufacturing [TSM]. The stock is overlooked becasue They retain a notion from 1995 to 2000 that semiconductor-equipment manufacturing is wildly cyclical and a bad business. In fact, the chip industry has become much less volatile. Starbucks (SBUX) $61.46 ($59.61 when published). Target $70. The stock has done nothing since 2015. Comparable-store sales have decelerated significantly since then, from 6% or 7% to maybe 3%. Current guidance looks achievable. The company is forecasting same-store sales gains of 3% to 5%, high-single digit revenue growth, and earnings-per-share growth of 12% or more in the next three years. The rate of earnings growth is down from 15%-20%, but the company will be returning roughly $15 billion to shareholders from 2018 through 2020 through stock buybacks and dividends. They will be front-end loaded. The current yield is 2%. Starbucks has been streamlining expenses. Examples include the closing of its Teavana retail stores; refranchising of Germany, Taiwan, and Singapore; the sale of Tazo to Unilever; the elimination of the Starbucks e-commerce operation; and the consolidation of China.